Bug is in the OpenSSL's implementation of the TLS/DTLS (transport layer security protocols) heartbeat extension (RFC6520). When it is exploited it leads to the leak of memory contents from the server to the client and from the client to the server. Is this a design flaw in SSL/TLS protocol specification? No. This is implementation problem, i.e. programming mistake in popular OpenSSL library that provides cryptographic services such as SSL/TLS to the applications and services. Encryption is used to protect secrets that may harm your privacy or security if they leak. In order to coordinate recovery from this bug we have classified the compromised secrets to four categories: 1) primary key material, 2) secondary key material and 3) protected content and 4) collateral. Recovery sounds laborious, is there a short cut? After seeing what we saw by "attacking" ourselves, with ease, we decided to take this very seriously. We have gone laboriously through patching our own critical services and are in progress of dealing with possible compromise of our primary and secondary key material. All this just in case we were not first ones to discover this and this could have been exploited in the wild already. How revocation and reissuing of certificates works in practice? If you are a service provider you have signed your certificates with a Certificate Authority (CA). You need to check your CA how compromised keys can be revoked and new certificate reissued for the new keys. Some CAs do this for free, some may take a fee. You are likely to be affected either directly or indirectly. OpenSSL is the most popular open source cryptographic library and TLS (transport layer security) implementation used to encrypt traffic on the Internet. Your popular social site, your company's site, commerce site, hobby site, site you install software from or even sites run by your government might be using vulnerable OpenSSL. Many of online services use TLS to both to identify themselves to you and to protect your privacy and transactions. You might have networked appliances with logins secured by this buggy implementation of the TLS. Furthermore you might have client side software on your computer that could expose the data from your computer if you connect to compromised services. Most notable software using OpenSSL are the open source web servers like Apache and nginx. The combined market share of just those two out of the active sites on the Internet was over 66% according to Netcraft's April 2014 Web Server Survey. Furthermore OpenSSL is used to protect for example email servers (SMTP, POP and IMAP protocols), chat servers (XMPP protocol), virtual private networks (SSL VPNs), network appliances and wide variety of client side software. Fortunately many large consumer sites are saved by their conservative choice of SSL/TLS termination equipment and software. Ironically smaller and more progressive services or those who have upgraded to latest and best encryption will be affected most. Furthermore OpenSSL is very popular in client software and somewhat popular in networked appliances which have most inertia in getting updates. Even though the actual code fix may appear trivial, OpenSSL team is the expert in fixing it properly so latest fixed version 1.0.1g or newer should be used. If this is not possible software developers can recompile OpenSSL with the handshake removed from the code by compile time option -DOPENSSL_NO_HEARTBEATS. Should heartbeat be removed to aid in detection of vulnerable services? Recovery from this bug could benefit if the new version of the OpenSSL would both fix the bug and disable heartbeat temporarily until some future version. It appears that majority if not almost all TLS implementations that respond to the heartbeat request today are vulnerable versions of OpenSSL. If only vulnerable versions of OpenSSL would continue to respond to the heartbeat for next few months then large scale coordinated response to reach owners of vulnerable services would become more feasible. Although the content of the heartbeat request is encrypted it has its own record type in the protocol. This should allow intrusion detection and prevention systems (IDS/IPS) to be trained to detect use of the heartbeat request. Due to encryption differentiating between legitimate use and attack can not be based on the content of the request, but the attack may be detected by comparing the size of the request against the size of the reply. This seems to imply that IDS/IPS can be programmed to detect the attack but not to block it unless heartbeat requests are blocked altogether. We don't know. Security community should deploy TLS/DTLS honeypots that entrap attackers and to alert about exploitation attempts. Can attacker access only 64k of the memory? There is no total of 64 kilobytes limitation to the attack, that limit applies only to a single heartbeat. Attacker can either keep reconnecting or during an active TLS connection keep requesting arbitrary number of 64 kilobyte chunks of memory content until enough secrets are revealed. Is this a MITM bug like Apple's goto fail bug was? No this doesn't require a man in the middle attack (MITM). Attacker can directly contact the vulnerable service or attack any user connecting to a malicious service. However in addition to direct threat the theft of the key material allows man in the middle attackers to impersonate compromised services. Does TLS client certificate authentication mitigate this? No, heartbeat request can be sent and is replied to during the handshake phase of the protocol. This occurs prior to client certificate authentication. Does OpenSSL's FIPS mode mitigate this? No, OpenSSL Federal Information Processing Standard (FIPS) mode has no effect on the vulnerable heartbeat functionality. Does Perfect Forward Secrecy (PFS) mitigate this? Use of Perfect Forward Secrecy (PFS), which is unfortunately rare but powerful, should protect past communications from retrospective decryption. Please seehttps://twitter.com/ivanristic/status/453280081897467905 how leaked tickets may affect this. Can heartbeat extension be disabled during the TLS handshake? No, vulnerable heartbeat extension code is activated regardless of the results of the handshake phase negotiations. Only way to protect yourself is to upgrade to fixed version of OpenSSL or to recompile OpenSSL with the handshake removed from the code. 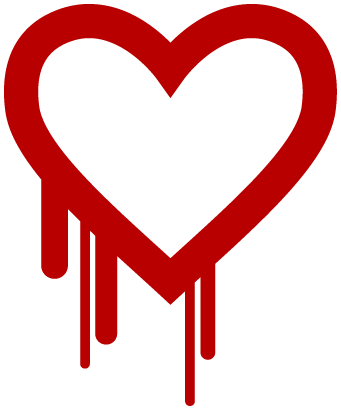 Who found the Heartbleed Bug? This bug was independently discovered by a team of security engineers (Riku, Antti and Matti) atCodenomicon and Neel Mehta of Google Security, who first reported it to the OpenSSL team. Codenomicon team found heartbleed bug while improving the SafeGuard feature in Codenomicon's Defensics security testing tools and reported this bug to the NCSC-FI for vulnerability coordination and reporting to OpenSSL team. What is the Defensics SafeGuard? The SafeGuard feature of the Codenomicon's Defensics security testtools automatically tests the target system for weaknesses that compromise the integrity, privacy or safety. The SafeGuard is systematic solution to expose failed cryptographic certificate checks, privacy leaks or authentication bypass weaknesses that have exposed the Internet users to man in the middle attacks and eavesdropping. In addition to the Heartbleed bug the new Defensics TLS Safeguard feature can detect for instance the exploitable security flaw in widely used GnuTLS open source software implementing SSL/TLS functionality and the "goto fail;" bug in Apple's TLS/SSL implementation that was patched in February 2014. NCSC-FI took up the task of reaching out to the authors of OpenSSL, software, operating system and appliance vendors, which were potentially affected. However, this vulnerability was found and details released independently by others before this work was completed. Vendors should be notifying their users and service providers. Internet service providers should be notifying their end users where and when potential action is required. For those service providers who are affected this is a good opportunity to upgrade security strength of the secret keys used. A lot of software gets updates which otherwise would have not been urgent. Although this is painful for the security community, we can rest assured that infrastructure of the cyber criminals and their secrets have been exposed as well. This Q&A was published as a follow-up to the OpenSSL advisory, since this vulnerability became public on 7th of April 2014. The OpenSSL project has made a statement athttps://www.openssl.org/news/secadv_20140407.txt. NCSC-FI published an advisory athttps://www.cert.fi/en/reports/2014/vulnerability788210.html. Individual vendors of operating system distributions, affected owners of Internet services, software packages and appliance vendors may issue their own advisories.